2018 holidays, here we come! Forget December 25. If you love to travel, it's on Boxing Day that all your Christmases come at once. With travel companies slashing prices on airfares, cruises, accommodation and tours, December 26 is one of best days of the year to book a holiday. Here's some of the hot tips for travel bargains that can be snapped up as you recover from Christmas Day. About half a million seats for domestic and international destinations are on sale, with fares starting from $29 on domestic routes and $99 on international routes. Destinations on sale include Bali, Hawaii, Thailand, Byron Bay, Gold Coast and Cairns. Sale ends December 28, 2017. Score flights from $999 return when booked with one of Trafalgar's 95 trips across Europe and Britain or score an early payment discount of 7.5 per cent. Valid for travel between March 1 and November 30, 2018. Terms and conditions apply. Deal ends February 28, 2018. Qatar's Boxing Day sale includes discount economy fares for groups of between two and nine travellers who book and travel together. Fares include Perth to Dublin from $915 (for travel on selected dates between January and May). Flights from Perth to Paris start from $975. Sale ends January 8, 2018. Qatar Airways is offering airfare deals on Paris flights. Velocity members can earn triple points (6 points per $1 spent) when they purchase from Catch, and double points (4 points per $1 spent) when they purchase from David Jones, Boohoo, Dell, Kogan, The Iconic and Boohoo. Deal runs until January 22, 2018. Flight Centre's Boxing Day sale includes discounts on flights, tours, cruises, accommodation and more. Sale deals include a nine-night South Pacific cruise on Explorer of the Seas, departing Sydney on March 19, 2018, from $1149 per person - a saving of up to $650 per person - and a 14-night New Zealand cruise on Ovation of the Seas departing Sydney on November 28, 2018, starts from $2099 per person - a saving of up to $1450 per person. Sale ends February 28, 2018. Sale deals include a 10-night New Caledonia and Vanuatu cruise on Carnival Legend departing Sydney on March 24, 2018, from $1149. Book before February 2, 2018 to receive up to $200 onboard credit on select sailings between January 28, 2018 and December 30, 2019. Sale ends February 26, 2018. New bookings on eligible worldwide sailings will receive savings of up to $200 per person, plus up to four bonus perks depending on the category of stateroom (including a Classic Beverage Package, unlimited internet access or $US150 on-board credit). Deals include a 10-night Tropical Queensland cruise on Celebrity Solstice departing Sydney on October 29, 2018 from $2399 per person, including savings of up to $100 and two bonus perks. Azamara Club Cruises is offering a "buy one, get one up to 50 per cent off" deal - plus receive free internet for Oceanview Staterooms and above - for bookings for cruises departing between May 2018 and August 2019. Sale ends February 28, 2018. Some blackout periods apply. Deals include a five-night stay at Castaway Island Fiji from FJD$989 plus taxes per bure per night (approximately $A780 inclusive) which includes all meals and either a Family Pass or Aqua Pass, and Outrigger Fiji Beach Resort from $285 plus tax per night (approximately $A225 inclusive), for selected dates in 2018. Sale ends on March 31, 2018. Book a stay at Ala Moana Hotel by Mantra in Honolulu from $US298 for a two-night stay, for travel until June 30, 2018. Sale ends January 3, 2018. 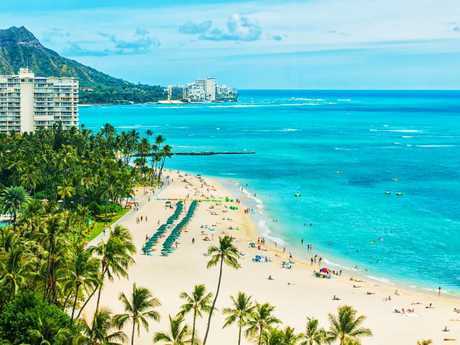 Aloha, Hawaii: Score a stay at Ala Moana in Honolulu from $US149 a night. Deals include a two-night stay at Mantra PortSea, Port Douglas from $198, between January 7 and June 30, 2018. Sale ends January 3, 2018. Deals include The Watson in Adelaide from $139 per night (for travel until January 28, 2018), and The Chen in Melbourne from $144 a night (for travel until June 30, 2018). Sale ends January 3, 2018. Oaks Hotels and Resorts around Australia and overseas are having a month-long new year sale, with deals including executive king rooms at Oaks Oasis Resort on the Sunshine Coast from $141 per night or a contemporary studio room at Oaks Cable Beach Sanctuary in Broome from $161, with savings of 20 per cent when staying for five nights or more. Sale ends January 22, 2018. 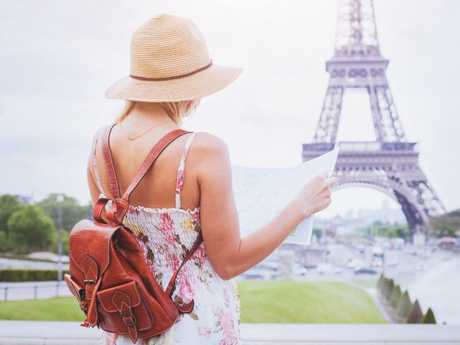 Save up to 25 per cent off Busabout's favourite hop-on, hop-off passes and multi-country trips including La Dolce Vita, Road to Rome, Road to Venice, Hidden Gems, Alpine Way, Siesta Fiesta, Spanish Explorer and Swiss Miss. Terms and conditions apply. Sale ends December 27. Last-minute summer tours on sale include a 13-day Japan: Land of the Rising Sun tour departing January 27 for $4174, a saving of $1391, and a 13-day Mexico & Guatemala Highlights tour departing February 6 for $1541, a saving of $514. Sale ends December 31. G Adventures' "Sale of the Year" deals include an eight-day Cuba Libre tour for $1499 and a 13-day Highlights of Borneo tour for $2679. Sale ends January 31. To ring in the new year, Insight Vacations and Luxury Gold Vacations are each offering travellers savings of $2018 per couple on nine 2018 trips in Europe. Terms and conditions apply. Sale ends January 5, 2018. AAT Kings is offering free flights when booked with tours including Perfect Tasmania, Untamed Kimberley & West Coast, Wonders of the West Coast & Kimberley. Terms and conditions apply. Available for travel between April 1, 2018 to August 31, 2019. 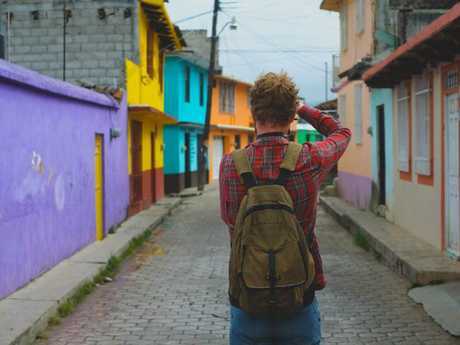 For more travel news and advice, sign up to Escape's newsletter.